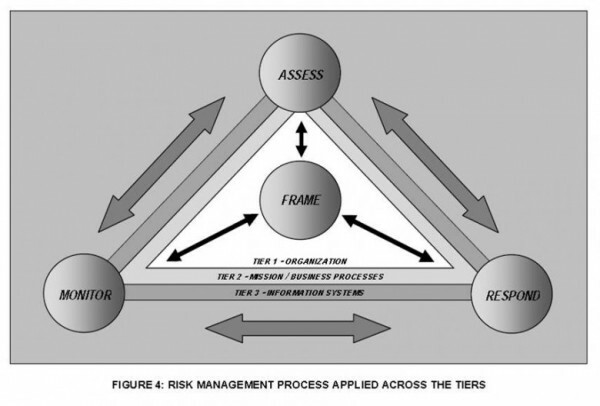 NIST Special Publication 800-30 identifies Respond as 1 of 4 risk management processes. In order to properly complete the Risk Assessment, an incident Response Plan needs to be considered in parallel. Respond is 1 of the 4 Risk Management Processes identified in the Guide. Respond includes pre-emptive security controls to mitigate risk, but it also includes Incident Response Planning, Management, and Execution. Respond receives input from and provides input to the other 3 processes: Frame, Assess. and Monitor. The Assess process has a number of key dependencies on the approach to incident response. I will look at these in my next post. Coordinated Response can work with you to align your response plan with your Risk Assessment. Let us help you with a response plan review that considers your information security risk assessment. For more information on how we see risk assessment linked with incident response refer to an earlier highlight: http://coordinatedresponse.com/risk-assessment-and-incident-response/. NOTE: The graphic above is from NIST SP 800-39 Managing Information Security Risk page 32. It is similar to the graphic in SP 800-30 Rev 1 on page 4, but in SP 800-39 the graphic provides more information. Specifically the 3 organizational tiers are identified. For access to NIST Special Publications: http://csrc.nist.gov/publications/PubsSPs.html, SP 800-30 Rev 1, “Guide for Conducting Risk Assessments,” Sep. 2012.